A 12-year-old Nevada boy who went on a deadly shooting rampage at his school nearly seven months ago had been teased by his classmates and was taking a prescription antidepressant, police said Tuesday. 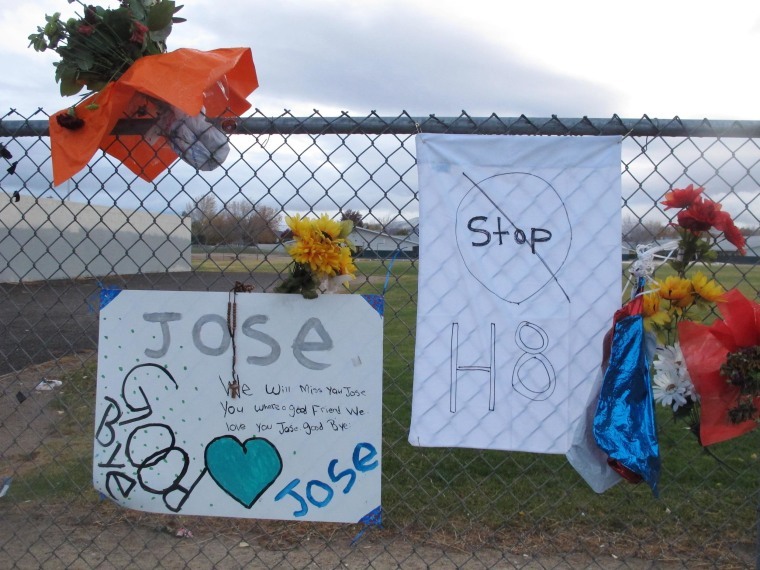 Seventh-grader Jose Reyes opened fire Oct. 21 at Sparks Middle School, killing a teacher and wounding two classmates before committing suicide. Sparks Police Chief Brian Allen said at a news conference Tuesday that Reyes had told a psychotherapist that other students made fun of him and called him names. Allen said an investigation into the shootings found signs that classmates did mistreat Reyes, but there wasn't enough evidence to merit charges. For instance, he said, police learned one of the students shot during the rampage had teased Reyes about not having muscles during a physical education class. Other students called Reyes names and accused him of wetting the bed, the police chief said. Allen said other key findings from the probe were that Reyes had been showing signs of autism, and had searched online for videos about the Columbine High School massacre and other school shootings. There were no overt signals that Reyes would commit the acts, the police chief said, "but there were signs that he was in crisis." Allen also included a message to students during the news conference: "Be nice. Be kind. Treat your fellow students with respect. We're all a little different. It matters. According to a report on the investigation's findings, three days before the shooting, Reyes' father took him to a psychotherapist, who said the boy showed signs of a depressive disorder. Reyes had an antidepressant in his system at the time of his death. The findings also showed Reyes left two suicide notes. In one, he expressed anger that he was mistreated and embarrassed at school. In the other, he said the shooting was not a result of violent video games or bullying. Reyes also wrote that he wished he could go back in time and be a better person and a better son, the report said. Allen said authorities determined during the investigation that no charges were warranted against Reyes' parents. Police earlier said the parents could be charged if they knowingly made the semi-automatic handgun available to the boy. But Allen said Tuesday the investigation turned up no evidence that Jose and Liliana Reyes were aware that their son knew where the 9 mm pistol was kept above the refrigerator. Under Nevada law, no crime is committed if the gun was stored in a place a "reasonable person would have believed to be secure." Reyes killed math teacher Michael Landsberry, 45, on an asphalt basketball court behind the school, just east of Reno. He also shot and wounded two other boys before killing himself as horrified students and teachers ran for cover. The 12-year-olds who were shot have recovered. Their parents have said they don't believe the two were targeted in the attack.